I’ve built a couple of circle track cars, and I’ve driven and worked on many stock cars over the past 25 years. This will be my first street rod. I’m planning on doing a very low budget build, something in between a street rod and a rat rod. I always liked the roadster pickup shown in the opening scenes of “Happy Days”, and I want to build something somewhat similar. I’m going to build a T-Bucket with a pickup box about 2 or 3 feet longer than most have. I’ve been scrounging Craigslist for the past year and have a few pieces and parts gathered around to get started with. I’m shooting for a $4000 build budget. We will see how that works out. 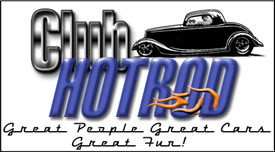 I picked up the body from Street Rod Fab in Sorrento, FL. It seems like a pretty strong, high quality part. Good to have you here and a great project, good luck. There's a fellow on this board that's close to you, techinspector1, and I suspect he'll chime in later. In 1990, a fellow named Chester Greenhalgh wrote a book about building a T-Bucket on a budget. I bought one of the books at that time, for about 20 bucks. Since that time, the book has developed quite a cult following and the price has gone haywire on them. Here's an offering from Amazon, used, for $79.49 plus shipping. Chester hit a home run when he wrote this book, showing the rest of us how to build a T at home for something like 3 or 4 thousand dollars, using commonly available stuff that other folks would overlook. Back in the early 60's, Car Craft magazine published a set of plans for building a T-Bucket. I have seen some of the cars built through the years, but never tried to build one myself. Last edited by techinspector1; 03-21-2017 at 11:56 AM. NTFDAY, Whiplash23T, 40FordDeluxe and 1 others like this. Thanks for the help and encouragement guys. I bought the copy of Chester's book from TBucketPlans.com, and I have read through it several times. I emailed Chester a couple months ago - he is still alive and kicking down in Mexico. I have also read through a couple of T-Bucket build threads on this forum - Jim Robinson's and Don "ITOLDYOUSO's. I picked up a ton of ideas there also. NTFDAY and Whiplash23T like this. Welcome and obversely you have done some home work already in studying other builds, whether on this site or others which is excellent. I have owned my T Roadster now for a number of years and through life changes of circumstances, it patiently sits in the garage waiting for me to have the free time and money to complete her. I have never regretted in the money I have invested in my girl as I builder for me and for me to enjoy driving anywhere safely. I too will be keen to follow along on your build thanks. I will post a photo or two of mine and, yes, the steering wheel is on the013.JPG008 (800x533).jpg007 (800x533).jpg013.JPG008 (800x533).jpg007 (800x533).jpg wrong side for you guys. NTFDAY, 40FordDeluxe and Driver50x like this. Don, Itoldyouso, doesn't post here anymore though I think you can find him on the HAMB. He has been absent or MIA. from there too of late and I'm hoping and praying he hasn't taken the death of Steve Lang (32Roadster) too hard as they were very close with his two lads. Sorry to hear that, I don't go up there that often. If you hear something let us know. Yesterday I spent some time out in the garage doing some basic mock ups and finalizing the frame dimensions to fit my body. I am going to make the front of the frame 24 inches wide and the rear of it 27 inches wide. The front of this body is comes channeled 3 inches. Once I figured out where the frame rails will sit, I channeled the rear of the body about 2 inches. I am debating leaving it there. You're T looks great Mark. I like the wheels and the roll bar. It looks pretty complete, what more needs to be done? I'm thinking about building a 4 foot long box for mine. Just remember that leg room can be a premium in a T bucket. He replied to the thread there about Steves passing, said something about working on non-HAMB friendly cars recently so not posting there either. Probably Fox body Mustang race cars with his boys. While he shared the sadness he didn't seem maudlin, and sounded like he'd been in steady contact with Sue so was probably prepared as he could be. Thanks Bob for the added information on Don senior. I had communicated with Don junior via Faceache the other day but he didn't mention his Dad. One of the things one must take into consideration when planning the layout of your project is the length of the wheel base. Now if you are thinking along the lines of a 4 foot bed, how will that work in with the overall proportions of the finished car ? One of the jobs I have to complete is shortening my pick up bed as I cut approximately 4" off the length as I wasn't happy with the amount of bed sticky out behind the rear wheel. I tried to divide the side view into 3 equal or near enough spaces ,the distance between radiator and firewall, firewall and back of body and thirdly the pickup bed. here is another side view that shows just what I mean about how the bed was a fraction to long. Wait, I don't know how to upload a photo on quick reply so I shall be back.